One of the many advantages of working with Radar Hill is that we create a completely custom website to suit your business. 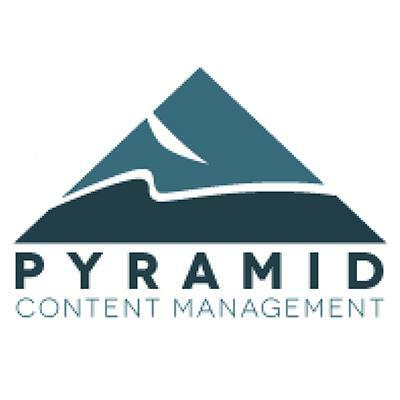 We know how important it is to be able to easily manage your website’s content, which is why our Content Management System (CMS), called Pyramid, is an added feature available to our clients. Pyramid enables the user to edit content themselves, which means that there is no waiting to get that latest announcement or picture added onto a website – simply login to the backend and make the desired changes. We believe that managing your website should be a smooth process. Several of our clients have come to us because they became tired and frustrated with their WordPress site. WordPress is ubiquitous and is a part of many websites, however it is not the most user-friendly, from the constant updates to the never-ending list of plugins necessary to make it do what you want. It can take a lot of time to get used to WordPress and figure out exactly how to use it. For most people this is a waste of valuable time, which is why we created Pyramid. It is intuitive, so even those who are not the most technologically-apt can use it effectively. It should be noted that as an added layer of protection for your website, our Content Management System does not allow you to edit absolutely everything. This means that you cannot accidentally break your website by changing its very structure. Pyramid is also customized to best suit your needs, and one example of a custom addition is that for retail websites the default is to have a “products” tab, but for our recent launch of Flex Foods, we customized the CMS to say “meals” instead. This is just one small example of how Radar Hill can make your life easier. As an industry leader, Radar Hill is continuously creating tools to make your website superior to your competition. We want our clients to succeed and we make that happen by providing you with the latest technology. Visitors will be able to search an entire site by keyword. People go on a website for information, be it to find out more about the service, product, price, location, contact info etc. 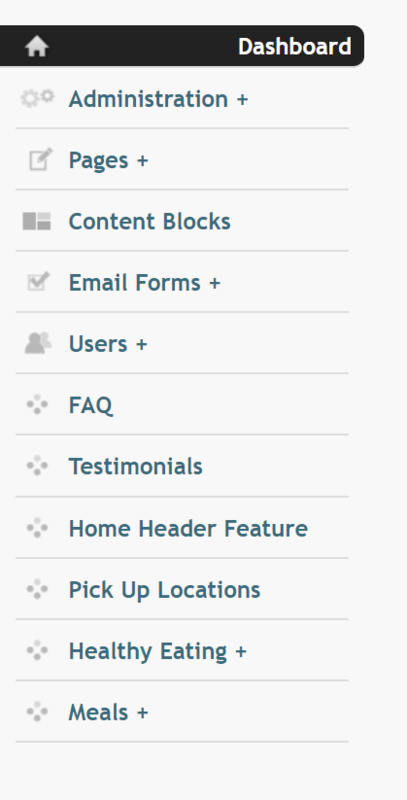 Pyramid now has a search tool so that visitors can easily search directly for what exactly they are looking for. This is not only creating a smoother experience for the user, but it is also strategically important for website owners to have this information. Google has restricted the information that it provides about keywords, citing privacy as the excuse. In reality, they are simply data hoarding, as knowledge is power. 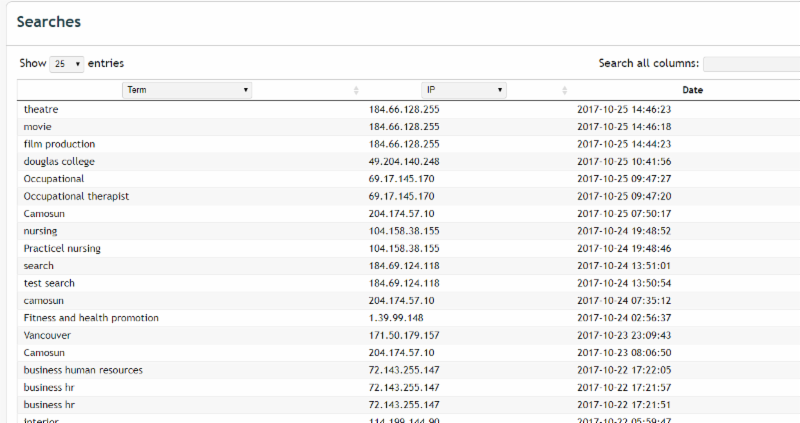 However, Radar Hill provides you with real time intel on what site visitors want from your website. 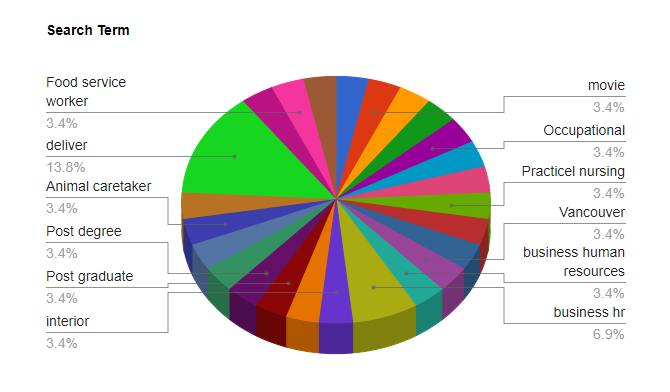 Our new reporting tool shows what exactly are the most searched terms on a website. Knowing what visitors are looking for and expecting can direct a business one way or another. This kind of insight is invaluable, as it allows for the website to be tailored to what visitors’ want, thus creating a frictionless experience. Collecting information on your website? Any data can be sensitive information, especially if it is intercepted by the wrong people. SSL can be added to websites for protection (and it is important for more than just encryption – read more about it here) but now our websites with contact forms can have them encrypted in order to protect the content. This means that any information that is sent in a contact form will only be seen by the intended recipient. If it is intercepted, the only thing that will be read is an ineligible series of letters and numbers, no actual information. Radar Hill is always working on improvements in the background of your websites, and lately we have been focused on improving the speed of our websites. To achieve a frictionless user experience, one of the most vital aspects is the speed. Being able to load and display a webpage quickly is crucial to retaining site visitors. If a visitor has to wait more than 2 seconds for a page to load, especially if they are on a mobile device, they will end up leaving the website entirely. This results in lost business, which is why we are continually updating and improving our systems to make them as efficient and effective for you and your business. If you would like more information about Pyramid, to have it added to your website or to discuss customizing it, please call us at 250-477-6395 (Victoria) or 250-748-0979 (Duncan) or email. This entry was posted in At Radar Hill, Business Website Tips, Local Business, Products & Services, Pyramid Content Management, SEO & Marketing, Web Design, Website Redesigns, Website Upgrades and tagged CMS, Content, Content Management System, Easy, Products, Pyramid, ssl, User friendly, website Administration, Website Management, wordpress. Bookmark the permalink.